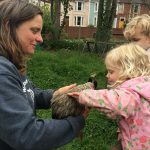 A general meeting of Horfield Methodist Playgroup will be held on Friday 13 April at 7.45pm here at Horfield Methodist Church: the principal item of business will be to agree the formal closure of the charity. 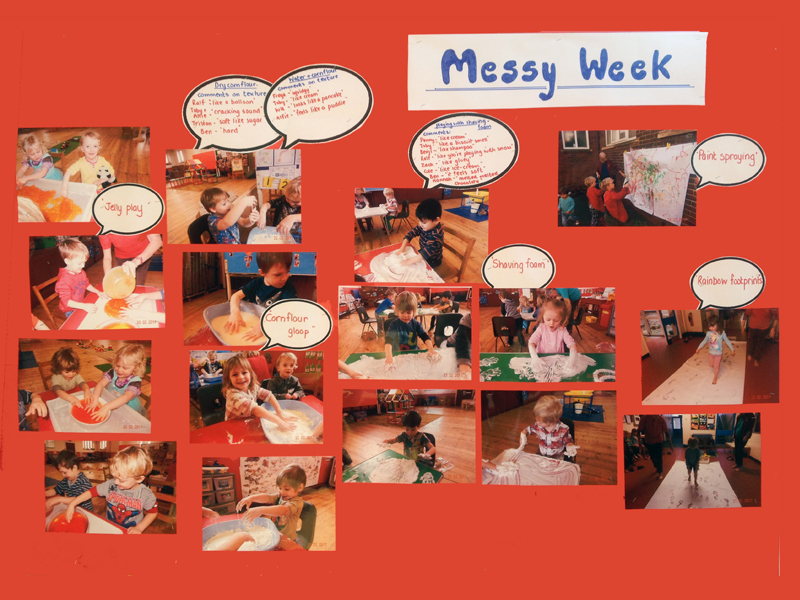 Please contact Eurfron Parry (Secretary) or Rev Patrick Stonehewer (Chair) if you would like to add any items to the agenda, or email playgroup@horfieldmethodist.org.uk. This entry was posted in Playgroup on February 21, 2018 by admin. 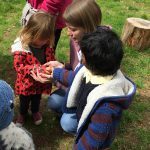 This week Playgroup spent a morning at St Werburghs City Farm. 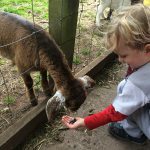 The children had a lovely time exploring the Farm and meeting all the animals. 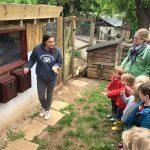 Our visit began with the chickens, everyone was offered the chance to stroke a hen and learnt the difference between chickens that are kept for eggs and those kept for meat. Next we were all shown the best way to feed a goat and then took it in turns to give the goats their food. 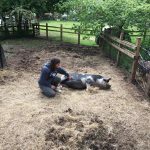 We went on to meet some pigs and discovered we had been very lucky with the timing of our visit – during the night Penny the pig had given birth. We very quietly looked through a window into her sty to see 6 tiny new born piglets. After the pigs we visited the ducks and then it was time to see if the hens had left any to be collected eggs. We found 5 eggs and got to feel how warm they are when they have just been laid. 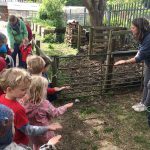 The last animals we visited were the sheep, we gave them some food and learnt about where wool comes from. Then there was just time for a well earned snack before heading home. How many eggs will be in the box? This entry was posted in Playgroup on May 13, 2017 by Becky Joynt. On Monday we had lots of fun with jelly – touching it, spreading it and poking it. On Tuesday we made an enormous foot print picture. We all got to cover our feet in paint and walk across a big sheet of paper. On Wednesday we experimented with cornflower. We felt it when it was dry then we added water to it and found it could be both runny and hard at the same time! On Thursday we played with shaving foam and spread it all over our tables and went home smelling lovely. On Friday we went outside and made a giant paint spray picture. Everyone had a go at spraying paint and created a lovely picture to decorate our hall with. This entry was posted in Playgroup on February 27, 2017 by Becky Joynt. 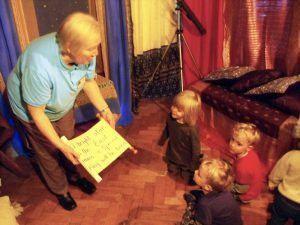 This week the church was magically transformed into several interactive scenes from the nativity forming the Christmas Journey. On Friday Playgroup got the chance to experience it for themselves. 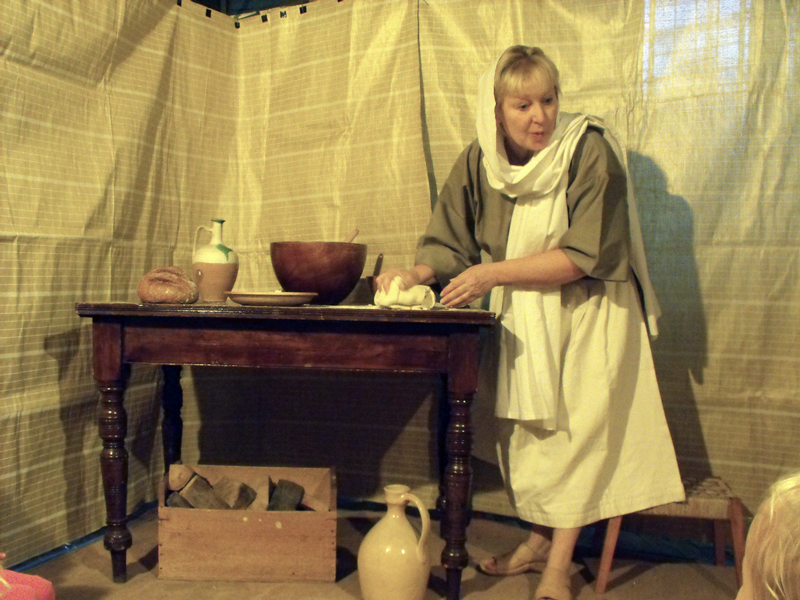 At the start of their journey the children met Mary baking bread and were visited by the Angel Gabriel. They saw where the shepherds tended to their sheep, listened to the animals watching over baby Jesus in the stable and ended their journey finding out about the gifts the wise men had for the new baby. This entry was posted in Playgroup on December 9, 2016 by Becky Joynt. This entry was posted in Playgroup on November 26, 2016 by Becky Joynt.